Before hitting the Parisian runways, Women’s Fashion Week took place in Milan, where Italian designers showcased their Spring/Summer 2016 collections. 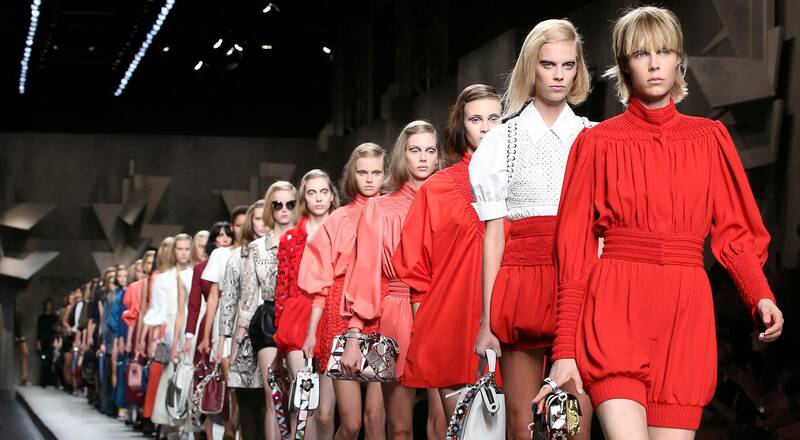 Each in their own way, Fendi and Pucci celebrated women with an accent on seduction. The Pucci catwalk was an eagerly anticipated event that marked the young designer Massimo Giorgetti’s debut collection as creative director, following his appointment in March 2015. 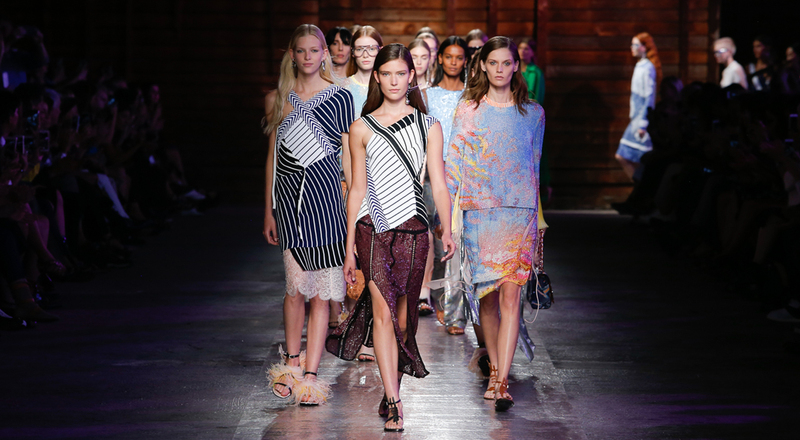 The show paid homage to Emilio Pucci’s summers in his favorite city, Capri. A subtle range of blues and layers of pearls and metallicized materials gave Pucci’s silhouettes the look of urban mermaids. Pieces were asymmetrical, split, pleated and layered, subtly revealing a spirit of liberty and boldness. Karl Lagerfeld celebrated 50 years of collaboration with Fendi with a show spotlighting his unique approach to leather, the material that made the Roman brand’s reputation. Materials were graphic, geometrical, pleated, braided and voluminous. The collection played with a range of chic reds, notably a coral leather bloomer playsuit, one of the show’s outstanding pieces.